When pressed about the staggering increases in regulatory burden under his administration, President Obama says not to worry because the benefits exceed the costs. But a new and revealing set of charts from the U.S. Chamber of Commerce highlights the shameless deception used to calculate the bulk of these purported benefits. In Charting Federal Costs and Benefits, Chamber researchers analyzed the benefits calculations of the Environmental Protection Agency, which is responsible for the largest portion of the most costly regulations in recent years. What they found obliterates the president’s claims that sky-high regulatory costs are justified. Specifically, the researchers reviewed the 45 rules for which the agency calculated benefits between 2000 and 2013. (The fact that the EPA failed to calculate benefits for any of the other 7,570 rules imposed by the agency in that period is another serious problem.) Although the regulations were crafted to address a variety of emissions, including carbon dioxide, lead, mercury and sulfur dioxide, a whopping 97 percent of the benefits actually were derived from the reduction of a single element—fine particulate matter—that was incidental to the pollutant targeted by the regulation. In other words, the EPA could not justify the enormous costs of its regulations and thus relied on ancillary outcomes to make it appear the benefits exceeded the costs. Doing so helped the agency avoid the scrutiny that otherwise would accrue to regulations for which the costs exceed the benefits. This analytic fraud is made worse by the fact the current level of particulate matter already is 30 percent below what the EPA claims is needed to protect health (with a margin of safety), according to the Chamber. For example, the 2012 Utility MACT rule was peddled as essential to reduce mercury emissions (at a cost of $10.5 billion annually). But as documented by the Chamber study, the vast majority of benefits claimed by the EPA—nearly $62 billion—actually were derived from reductions of particulate matter. The reduction of mercury, meanwhile, is credited by the agency with a comparatively measly $400 million in benefits. Similarly, the EPA’s emissions standard for sulfur dioxide is credited by the EPA as producing $2 million in benefits from the sulfur dioxide reductions but $29 billion in benefits from reductions of particulate matter. 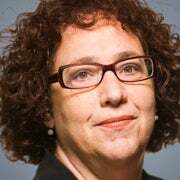 The charts build on research by Susan Dudley, director of the George Washington University Regulatory Studies Center, who found that agencies’ use of ancillary benefits to justify regulation has ballooned since 2009. 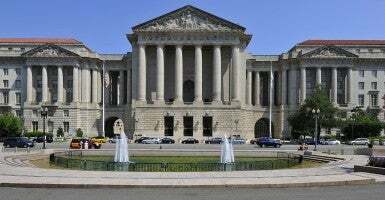 In addition to the benefits ruse, the Chamber also documented that the EPA is responsible for 17 of the 30 rules costing more than $1 billion a year that were issued between 2000 and 2013. Those 17 rules imposed new annual costs exceeding $90 billion. The 13 rules issued by five other agencies totaled $19 billion in annual regulatory costs. Regulatory excess is a hallmark of the Obama administration. At a minimum, regulatory costs have grown by $73 billion in the past five years. The Chamber is calling on Congress to enact a “Truth in Regulating” law to ensure that agencies properly monetize benefits and costs. That certainly could be helpful. But lawmakers shouldn’t stop there. Broader reforms of the regulatory process (as detailed here) are critically needed. Without decisive action, the costs of red tape will continue to grow, and the economy—and average Americans—will suffer.